Vicki Favilla grew up in Montgomery County and moved with her family to Frederick County eleven years ago. With her children grown and now living in Frederick City, the vibrant arts community of the downtown area has inspired her to become even more immersed in her lifelong passion of painting. Vicki’s formal education included two years at Montgomery College studying art and art history, with many years of self-study and countless hours spent in her home studio. 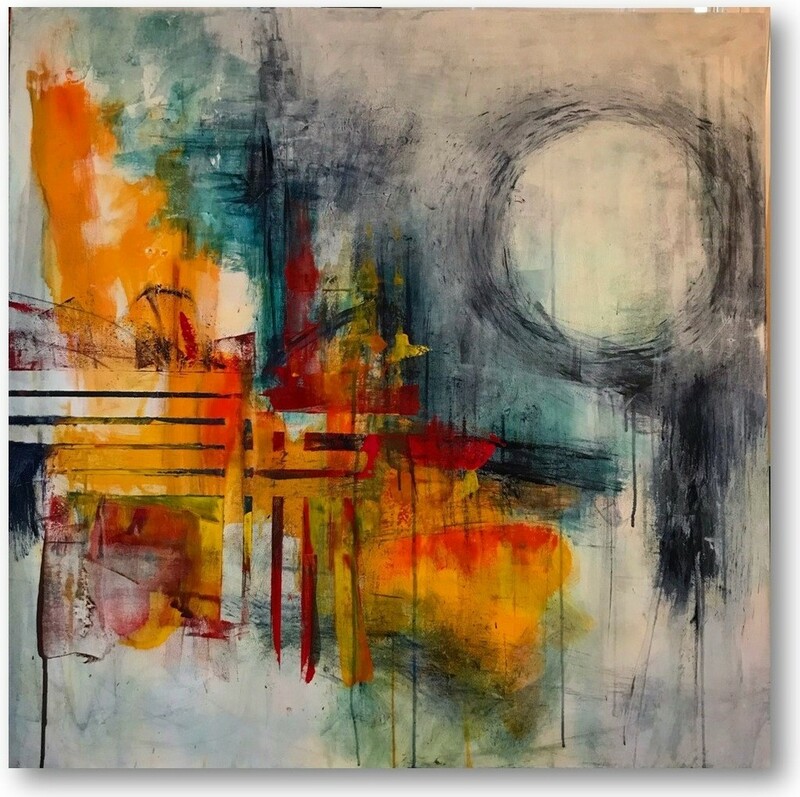 She specializes in abstract work with a special passion for oil and cold wax painting. In addition to being an artist, Vicki enjoys interior design and is currently renovating her family’s home with her husband here in the downtown area, and has borrowed the name of their beautiful street to moniker the collection of her work as The Fairview Gallery.